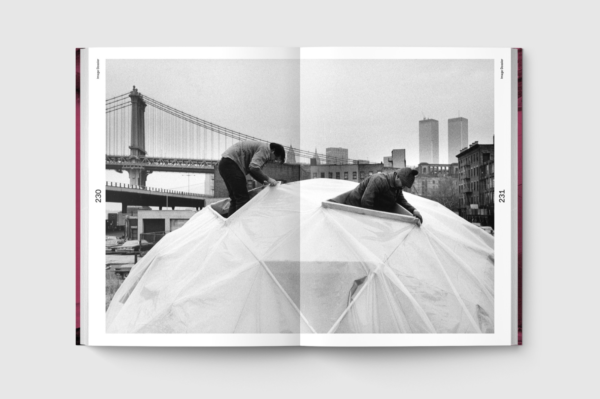 Originally published in 1973, CHARAS: The Improbable Dome Builders by Syeus Mottel, about six ex-gang members who constructed a geodesic dome on the Lower East Side of Manhattan after a meeting with Buckminster Fuller, has been reissued by The Song Cave and Pioneer Works Press. 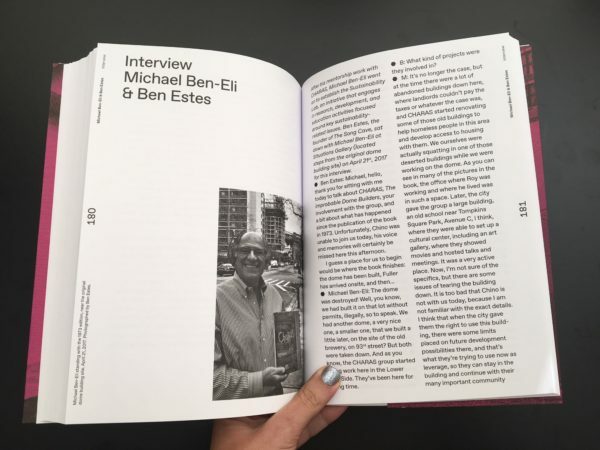 The reissue includes a present-day interview with Dr. Michael Ben-Eli, founder of The Lab, reflecting on his work with the project. 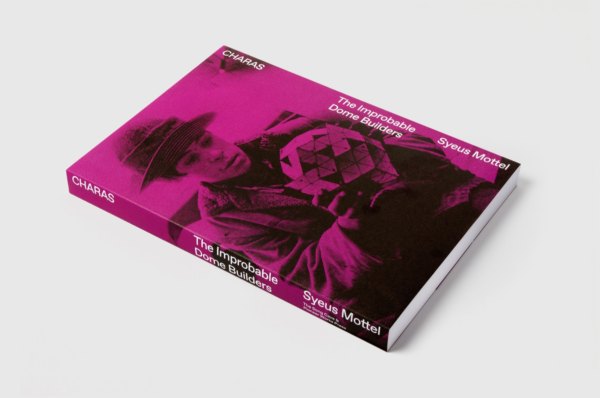 You can view the chapter about Dr. Ben-Eli from the original publication, here. 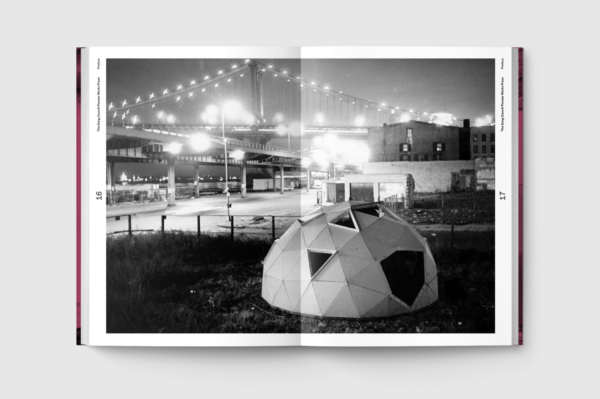 Following an exhibition of Mottel’s photos from the project at Situations in New York City, the book was released at an event at Pioneer Works in early December. To commemorate the event, a conversation took place between CHARAS co-founder Chino Garcia and Dr. Ben-Eli, moderated by the architect and professor Nandini Bagchee. Michael: It was kind of an unusual, spontaneous effort of the counter-culture at the time to organize within the city. I think that a similar need exists even now. There is so much controversy, on the west side, in Chelsea, for example, where developers are putting pressure on a community that was fairly quiet and stable for a long time, where working class people had lived for ages and now that land values have skyrocketed and developers are forcing people out, citizen groups are forming and organizing themselves. I think that CHARAS was an early version of this kind of local communities getting together. Ben: You mean you see this as a modern-day version of the utopic, counter-culture ideas that you were speaking about earlier? Michael: It doesn’t need to be regarded as utopian, it’s a very practical matter. You have to live in a place, and you have to try to create conditions for a better life. And as I see it, CHARAS was successful in doing that–by creating their community center, all of the public programming, the activities for kids–really carving out a place for themselves within their urban context and trying to make it a better place. Ben: But in some ways that is utopic, isn’t it? Michael: The reason that I’m trying to get away from that term is because “utopia” indicates a dream, or something unreal–and I’m saying that there are practical day-to-day issues that don’t need a brand-new reality in order to be addressed. So, to the extent that individuals and groups take the initiative themselves, and don’t wait for the government, and don’t wait for others to do it for them, they can bring about effective, positive change. Individuals and groups can take the initiative and seek out what is needed to better one’s own life, and that’s what members of CHARAS were doing. It’s actually a very practical issue.